IT's ultra-premium, it's ultra-priced and you can bet it will be in ultra-demand – not just because this is a sensationally soft and subtle wine with an-almost 100 per cent score-card for everything that's great about Cabernet Sauvignon, but because over 60% has already been grabbed for the overseas market. It's the Jim Barry 2002 The Benbournie Cabernet Sauvignon, a mature and refined spectacular from one of the greatest vintages in the Clare Valley; that soft and subtle palate has beautifully vibrant fresh fruit flavours and enduring tannins, while on pouring the glass comes alive with a bouquet of cedar, menthol, blackcurrant, cigar box and roasted capsicum. If you're going on the hunt for this wine for a very special celebration, expect to pay $85 – great value in fact as its one that will not only stand up with our top local Cabernet Sauvignon's, but match it with the best international labels. 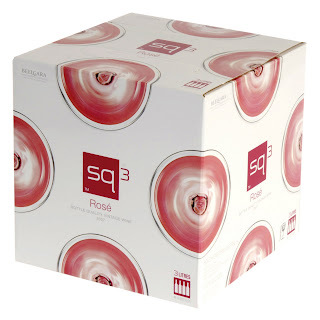 ONE FOR LUNCH: A great idea next time you're in party mood is Beelgara's 3-litre sq3 Wine Cube Rosé 2007, as this is a quality wine in a box and very competitively priced at just $20 - with 3-litres equaling four bottles, it's the equivalent of just $5 a bottle. Served chilled, this wine from the NSW Riverina has nice sweetish raspberry fruit flavours to the fore and a soft mouthfeel. And ideal for the party room or as a barbecue-starter, as it's easy to serve and goes nicely with dips, pâtés and cheese platters. BUY OF THE WEEK: TIM Adams' 2006 The Fergus is one of those wines that takes blending to almost new lengths: this one from the quite excellent 2006 vintage in the Clare Valley combines Grenache, Cabernet Sauvignon, Shiraz, Malbec, Cabernet Franc and Tempranillo. Pay $25 and enjoy its full-on flavours and aromatics with duck, turkey, lamb or game dishes. UP there with the best international Cabernet Sauvignons. LOGAN Wines in NSW's Orange region has always been somewhat imaginative when it comes to label design, and its latest effort is not only a quite exceptional one, it also invites consumers to its new range of very exceptional signature-series cold-climate wines. Each label depicts a hand-crafted embroidery design representing the fruits, berries, leaves and flowers characteristic of each of the new wines: a 2007 Chardonnay, 2007 Pinot Noir, 2006 Shiraz and 2006 Cabernet Merlot. 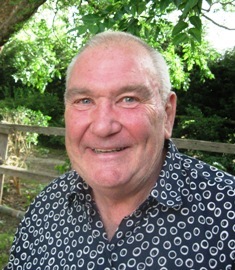 And according to winemaker Peter Logan, they don't just represent a pretty package, they bring with them wines particularly true to their region – especially, he says, the '07 Chardonnay that's refined, food friendly, and typical of cold-climate Chardonnays that develop gracefully into some of the world's finest aged wine styles. Whilst not disagreeing, we were more blown away with the '06 Shiraz that's very much Rhone-like in spiciness and structure, rather than typically Aussie-big on fruit, and is more refined with soft mid-palate fruit. A seductive $25 beauty to enjoy with a winter's home-made chunky steak pie and garlic mash. ONE FOR LUNCH: West Australian makers have really popularised Cabernet-Merlot blends, and the Frankland River's Ferngrove has a just-out 2007 whose nicely sweet core of blackberry and fleshy fruits on the front and mid-palate help balance some of the firmer Cabernet tannins. Those blackberry and mulberry fruit flavours make it ideal to enjoy with pork fillet and herb-enhanced sweet potato mash; nicely priced too at $15.99. BUY OF THE WEEK: Chapel Hill Winery has added some Adelaide Hills fruit to its latest Unwooded Chardonnay, and is changing some of its vineyard and winery practices to enhance its competitiveness with bourgeoning Sauvignon Blancs. The 2007 comprises 46% McLaren Vale fruit, and 27% each Adelaide Hills and Coonawarra; at just $14 a great buy to serve with whitebait fritters. SEDUCTIVE cold-climate Shiraz to cuddle up to over a chunky pie and mash. SWEET to the core and ideal with pork fillet and sweet potato mash.